Are you thinking about moving to a new city? You are not the only one. Millions of Americans move each and every year to seek better jobs and lifestyles. When you are looking at your options, open your mind to New Orleans. With its rich history and culture, it is the perfect place to live, work, and play. 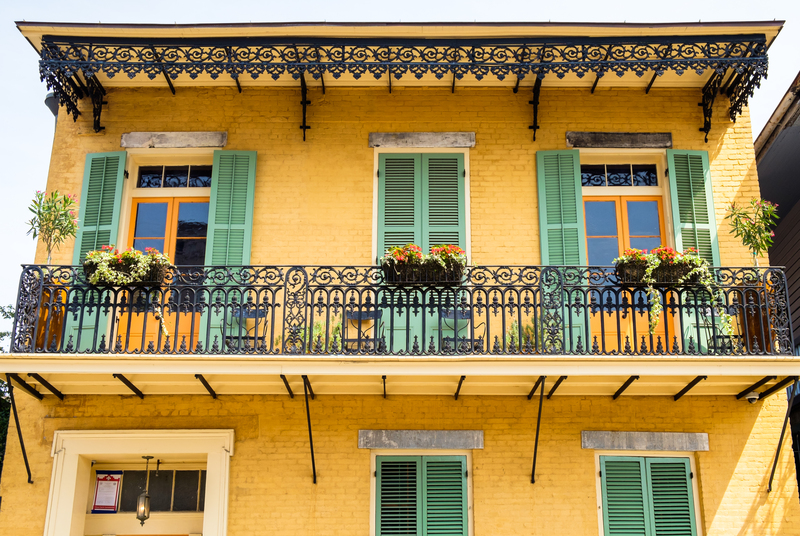 After one visit, you are sure to fall in love with The Big Easy. When you are moving to a new home, there is so much to do. Everything must make it to your new home, including your car. While you may think that driving is your only option, there is a safer, faster, and easier solution. Choose to ship your car to your destination with National Dispatch. Here are a few reasons why car shipping is the best choice. Car shipping allows you to spend less time on the road. This means less time on the highways stuck in traffic. It also means that you do not run the risks of driving in bad weather. Instead, you can fly to your destination, saving you lots of time. The purpose of auto transport services is to make the customer’s life, simpler. This is accomplished through convenient and easy-to-use services. National Dispatch makes it very easy to get a free, instant car shipping quote. Enter four fields of information to get a quote in seconds. No personal information, such as email addresses or phone numbers, are required. Car shipping is a safer alternative to driving, for both your vehicle and for you. You do not have to spend hours, or days, on the road. This can leave you feeling tired, which leads to impaired reaction time and increased aggression. For your car, this means it is spared wear and tear that comes from driving long distances. Auto transport is not as expensive as you may think. It can be quite affordable, and even less expensive when you think about all the stops that you must take to travel to your new home. You must eat and sleep along the way. Your car also requires fuel to get you there, which could mean several stops depending on the distance. Why Move To New Orleans? For those looking to relocate, New Orleans offers many options to marvel at art and architecture and taste delicious food. New Orleans is located near the Gulf Of Mexico. It is most commonly referred to as ‘The Big Easy’, because of how the city operates. Life may move a bit slower, but the city still offers its visitors and locals a vibrant, music scene. Here are a few reasons why you must check out New Orleans. The food in the city is from a mix of cultures, including Spanish, French, English, African, and many more. This is one of the many reasons thy the cuisine is known nationwide. Some of the most popular dish classifications are Creole, Cajun, and Soul Food. Under these categories, you will find dishes, such as gumbo, jambalaya, and crawfish. The musical genre of New Orleans is Jazz. You can find street performances of live bands, or listen to the music in one of the many clubs. When it comes to festivals, there is almost always one going on. The most popular festival is the Mardi Gras festival, which occurs each year during the winter season. It is a great celebration that has festivities weeks prior to the actual event. If you take some time to explore the city, you will find beautiful neighborhoods rich in history and culture. Some of the areas with unique features, include Bywater District, Garden District, Prytania Street, Warehouse District, and Irish Channel. There are also many museums and antique shops that may be of interest to you. Learn more by reading our Car Shipping Services Louisiana. So, you have decided that New Orleans is the place for you. Auto transport seems like the perfect solution for making the transition to your new home an easy one. How do you ship your car to New Orleans? First things first, you must call to book your order and finalize the details. It is recommended that you book auto transport services in advance. This ensures that you get the delivery date that you want. In addition, it allows plenty of time for us to get things in order to safely transport your car. Prior to the driver’s arrival, you will want to take care of some general preparation steps. You will want to remove all personal belongings from the vehicle. This is primarily for insurance purposes. We do not want your items to become lost or damaged during the move. In addition, we recommend that you leave only one-quarter of a tank of gas in the car. Your car will only be driven on and off the transport carrier. Learn more about preparing a car for transport. When the driver arrives to pick up the car, a vehicle inspection will be conducted. This is to record the condition of the vehicle prior to transport, in case any unforeseen circumstances were to arise. The report will include any scratches, chips, or dents in addition to other information. It is recommended that you keep a copy of this information for your own records, as well. The car will be loaded onto either an open or enclosed transport carrier. From then, it will make its way to its forever home. You can rest assured that your vehicle is in the best hands. National Dispatch is a leading provider of auto transport services. Not only can be transport your car to or from New Orleans, but we can ship your car anywhere in the United States. Request a free, instant car shipping quote today. Our online quote form is free and requires no personal information. Call us at 800-321-2051 for further information.